Catch us Sunday morning for the final rounds of Pro Tour Fate Reforged coverage. Cohen puts Amulet of Vigor into the Top 8 and the specs are live! Tasigur may be the backbreaker that puts away Sam Black. Did you buy your foils yet? 5:38pm: Sam Black on camera breaking down Amulet deck. Amulet of Vigor buyout is clearly ongoing online with copies drying up everywhere under $5, likely to land in the $5-8 range after the weekend. Just bought another 12 copies myself at $4. More burn! How many Eidolon of the Great Revel do you own? Lee Shi Tian played Kor Firewalker in his R/W burn build out of the board to handle the mirror. Nice one. Foils are under $2. Plenty of thinking required in this mirror. Burn as the “dumb deck” definitely a bit unfair. Lee Shi Tian just qualified for his 3rd PT Top 8 in the last year (4 total), pulling out a tight game against Smith. Jacob got down a Leyline of Sanctity in Game 2 to steal the game, a card that could see new highs if Burn stays popular in the Meta. Lol, an Amulet mirror match in the final rounds is hardly going to help dampen hype around Amulet since it virtually ensures one of these players makes Top 8 with the deck. Both players end up intentionally drawing to avoid knocking each other out of contention. Manfield makes great use of Eidolon of the Great Revel to put away game 1 against Wilson. Jacob Wilson’s metagame call to run anti-discard cards in Loxodon Smiter and Wilt-Leaf Liege was looking pretty good vs. the more mainstream Abzan build. In game 3 however a flurry of Zealous Persecutions on both sides of the table leads to a dramatic combat step and EFro takes the match. Amulet of Vigor is moving from $3 to $5-$6 so far on the camera time as players and speculators realize that this deck is no longer Tier 2. Last time this deck did well it hit $10 so be ready to sell in to the hype. Sam Black beat Finkel and the hype check is on for Amulet of Vigor and Primeval Titan as key cards in the deck that could rise, along with perhaps Gemstone Mine. 3:22pm: Cifka breaking down B/W Tokens deck for Randy. 3 copies of Sorin, Solemn Visitor especially notable. Remember folks, Mox Opal is being reprinted in MM2, so don’t go specing on it no matter how far Frank pushes. Eidolon of the Great Revel may be due for price boost if this burn deck makes Top 8. Merfolk back on camera! Sam Black wins this one too. First time we’ve seen these decks on camera this weekend. Fulminator Mage being highlighted. 2:21pm: Jakob Wilson on camera discussing the Wilted Abzan build, with Wilt Leaf Cavalier and Loxodon Smiter in place to blank Thoughseize and LOTV. Manfield takes the match, staying undefeated on Burn. Primeval Titan and Hive Mind in the spotlight in the Amulet deck. Sam Black wins the match demonstrating Amulet as a non-fringe strategy. Round 11: 12:54pm: Martin Mueller just looked like a boss taking down Zvi Mowshowitz in the 3rd round of today’s draft portion. 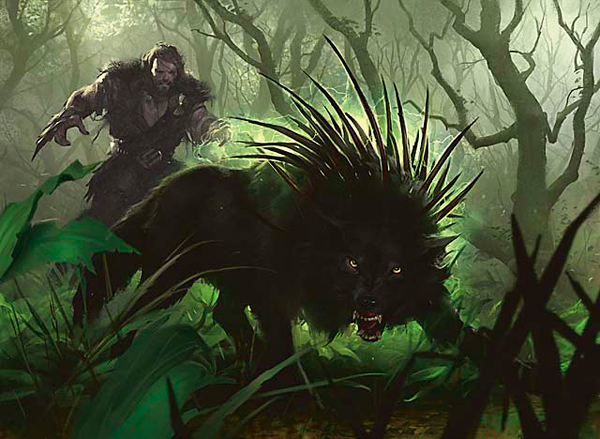 And we’re back for round by round MTGFinance coverage of Day 2 at Pro Tour: Fate Reforged! After 3 exciting rounds of FRF/KTK/KTK drafts, Day 1 saw Abzan dominate the Modern field with a whopping 30% of the metagame, as many of the relevant cards from the Birthing Pod decks saw play even without their namesake counterpart. Also at the top of the standings thus far are multiple are multiple Burn and Infect decks as aggressive strategies proved capable of taking advantage of the slower combo and untuned rogue decks throughout the first 5 rounds of constructed play. Humble Defector showed up in a Grixis Splinter Twin list, providing massive value as an early speed bump and minor card drawing engine, with the pilot rarely caring if his opponent got a couple of cards out of the deal. Tasigur, The Golden Fang was all over the place but it was Pat Chapin who demonstrated his deck building master by showing up with Gurmag Angler to trump an expected field of 4/5 Siege Rhinos, Tarmogoyfs and Tasigurs. Sadly, the deck did not perform for Patrick and he failed to make Day 2, casting shadows on the people that were buying out foil Anglers Friday afternoon. Sorin, Solemn Visitor showed up in the W/B tokens decks that showed up to check out the post-Treasure Cruise scene, demonstrating that it has the chops to find an ongoing home with tokens in Modern over Elspeth, Knight-Errant. Chord of Calling showed up in an Elves deck and looks criminally undervalue right now. Mtg Finance coverage is getting better than the actual WotC coverage.